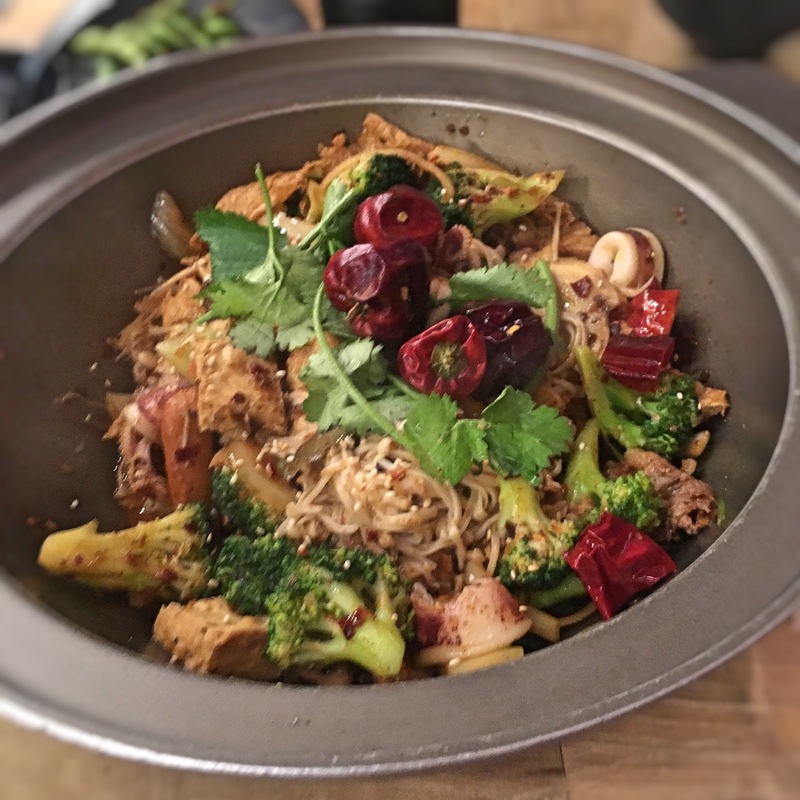 I'm back now, with a new culinary post! 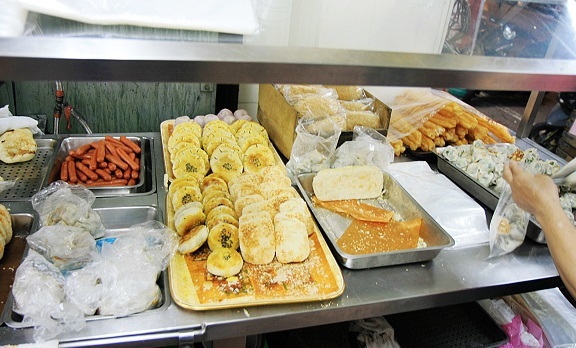 Do you know which part of Taiwan is famous for its food? Yep, today we're talking about Tainan! When I asked my friend where did he come from? He said "Tainan", then he will tell me all the mouth-watering foods in Tainan that I should try. Don't worry, I will share it with you here! First, let me tell you where Tainan is. Tainan is located at the southwest of Taiwan and it's the oldest city in Taiwan. So, don't compare its environment with Taipei city. haha! Living in Tainan have its own perks though, the stuffs are very cheap and it's not hectic, the atmosphere is really calm and serene, I love it! 1. 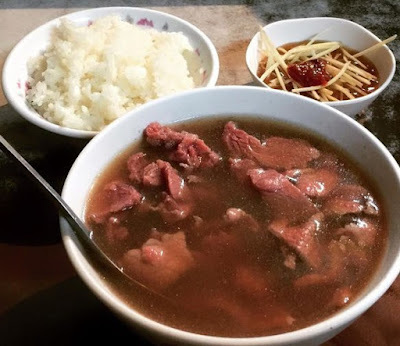 六千牛肉湯 (Beef Soup) ! Price for 1 bowl of beef soup is NT$120. Open Hour: Friday-Monday (5AM-10AM),close on Tuesday-Thursday. Actually, this shop is selling foods like other breakfast shop, you can have 蛋餅 (pancake Taiwan), toast, sausage, dumpling, soy milk, etc. Taiwanese really loves eating breakfast, if you haven't tried their breakfast, you're missing out on something good! Not only delicious, the price for the food here is pretty cheap. 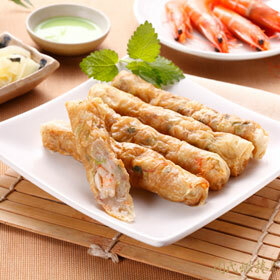 This Chou Shrimp Roll is very famous because of its shrimp roll, and they have many branches. It’s really delicious, and I really recommend you eat it while it's still warm, so good! With NT$60, you can get 2 slices of this shrimp roll. 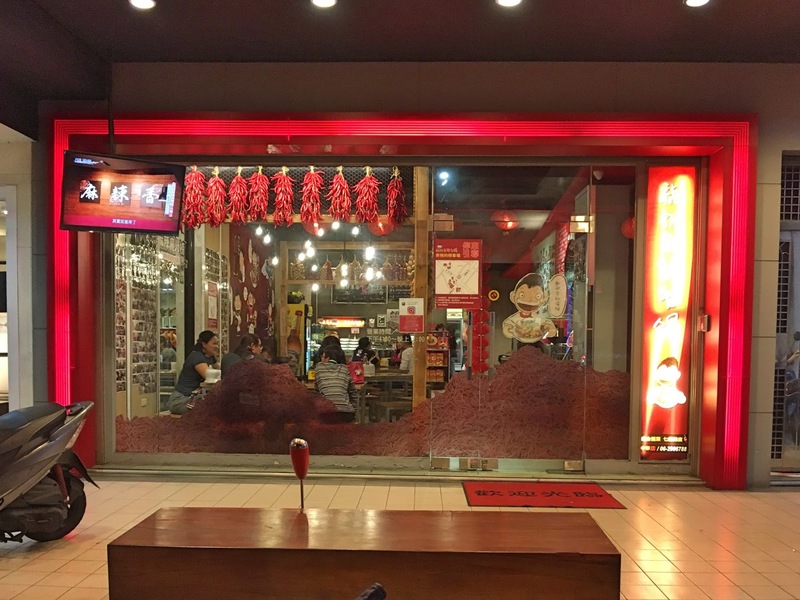 This one is for you, spicy lovers out there! 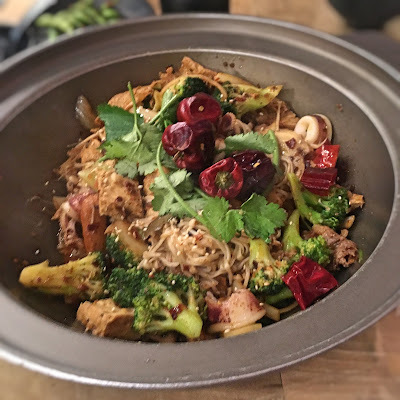 This is a dry hotpot dish, where you choose the meat, vegetable, tofu, noodle, and other ingredients that you'd like to eat, and then they will cook it together with their sauce and add their famous chili, and you can choose your preferred spiciness level, from not spicy, until burning hot. It's spicy! But I guarantee you can't stop wanting for more! For the price, it's about NT$200++, depends on how much ingredients you choose. Some of you may know that I really loves seafood, so seafood lovers, I highly recommend this restaurant. Their specialty is their prawn, and they can cook it in different styles, so you can just choose the one you like, and eat on! 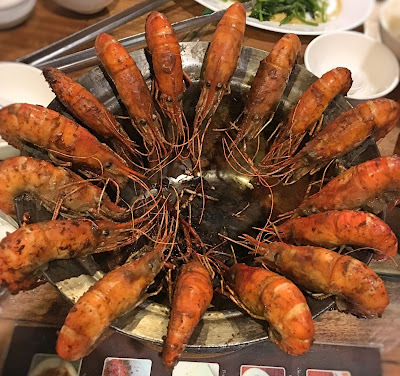 They also provide other dishes aside from the mouth-watering prawns, so no worries! For this one, you should prepare around NT$350++. Still related to seafood, this one is a shrimp rice specialist. 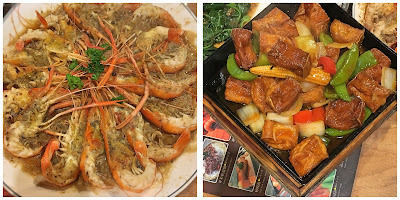 Not only that, they also sell century egg & tofu, egg, pork rice, etc, so I recommend you to order a bowl of shrimp rice and eat it together with the side dishes, yum! For this one, you also need to queue because usually the place is crowded. 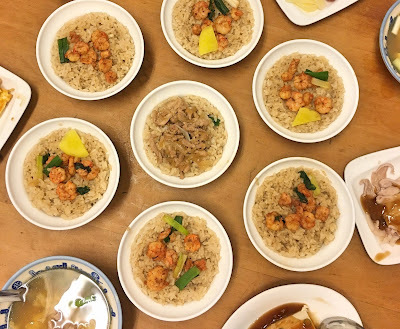 For guys, note that the portion for the shrimp rice itself is pretty small, so my male friends usually order 2 bowls! 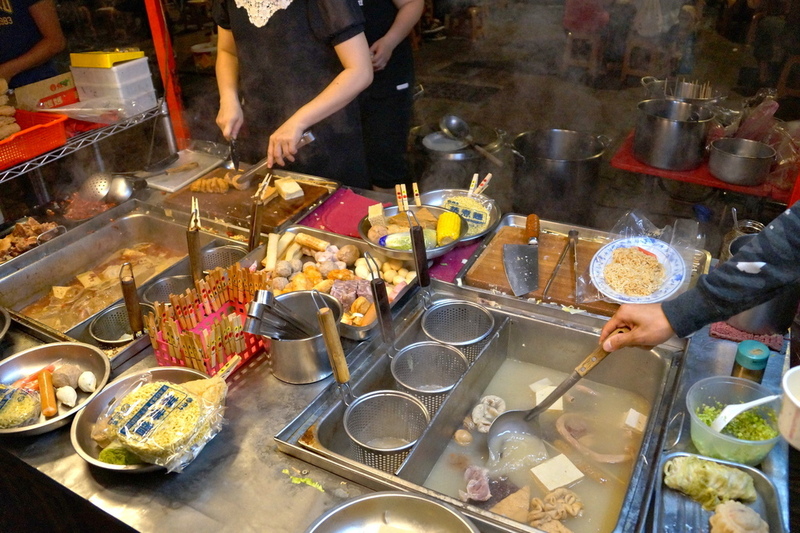 關東煮 (Guan Dong Zhu) is a Taiwanese dish, very similar to Japanese Oden. 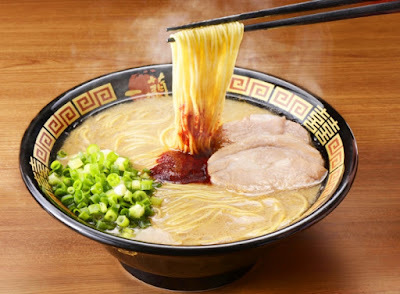 So basically, you can choose whatever ingredients that you want, like what kind of noodle, meat, vegetables, etc but the special thing here is the soup. Personally, I don't think the soup is really spicy, but I really loved the smell of the soup. They only open at night and you should queue before it's open, because this one is also very popular and quite cheap. This stall is outdoor, but still especially popular during cold nights in winter, imagine slurping those warm soups during windy nights, gosh... Lastly, I think you need to check their Facebook, to check if they are open or not, because sometimes the close on irregular times. What could be better after a good portion of food? Desserts!! Desserts are the best! 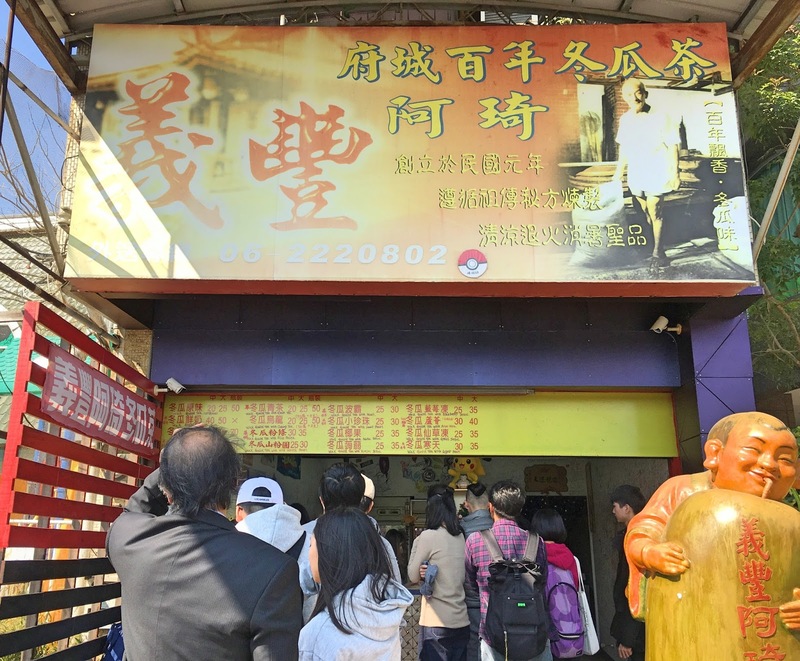 Tainan is popular for its Jellied Tofu, especially the ones in Anping District. You can find a lot of jellied tofu stalls in Anping, but my favourite is still this one (Tong Ji An Ping Dou Hua, Dou Hua means jellied tofu). 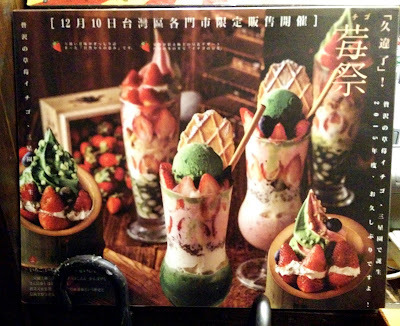 Other than the famous jellied tofu, they also serve snowflake ice. The price starts from NT$35. God, just look at those! 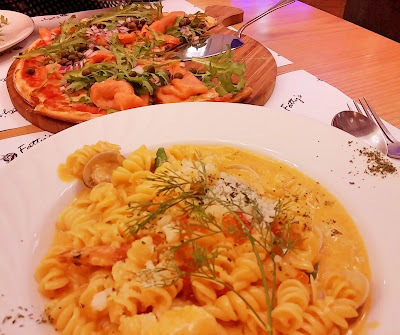 Looks so yummy, right? 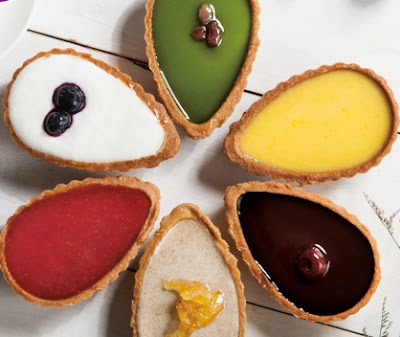 This is Elate, one of my favourite dessert shop, and as far as I know, they only have a shop in Tainan, so grab your chance while you're there! 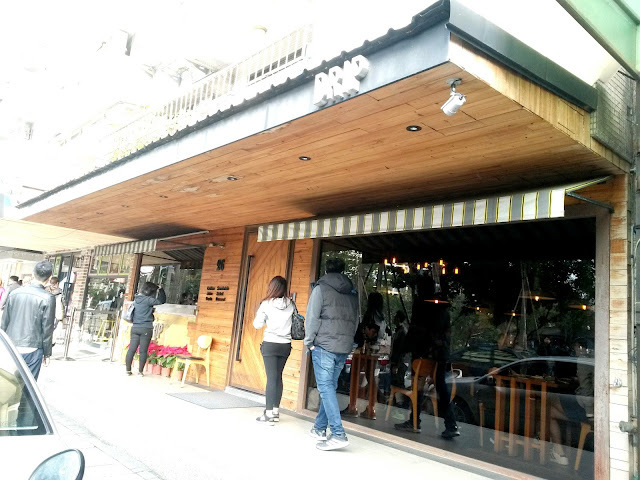 Their specialty is the egg tart, but the puddings are also highly recommended. 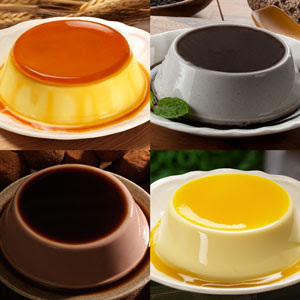 While they also sell creme brulee, I haven't tried it yet, so I can't say anything about it, but the next time I go to Tainan, I'll definitely try it! 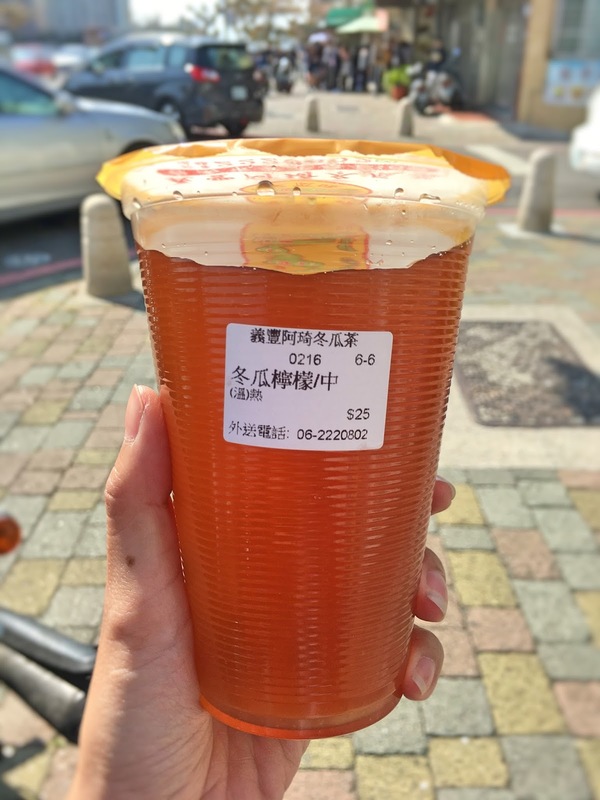 If you've been in Taiwan for quite some time, you may have noticed that they sell a lot of Winter Melon Tea. 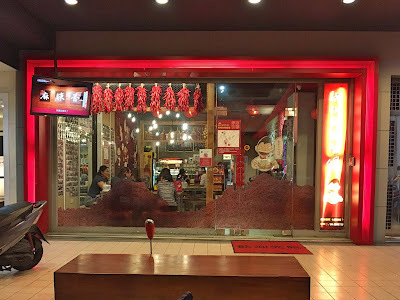 This one is the more famous Winter Melon Tea Shop in Tainan, called 義豐阿琦冬瓜茶 (Yi Feng A Qi Dong Gua Cha) They sell winter melon tea that is mixed with other ingredients, like lemon, nata de coco, oolong tea, etc. My personal favourite is of course, the original winter melon tea! The price range is NT$15-NT$40, depending on the flavor and size.